The Pension Protection Fund produces a monthly index update (this month’s release has data taken as at end-February 2014) of the estimated funding position of the defined benefit schemes which would be potentially eligible for entry into the Fund. 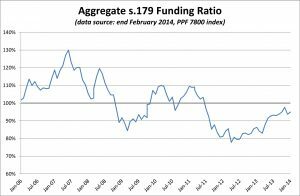 February marked a small improvement in aggregate universe funding levels, due mainly to a small increase in growth assets. 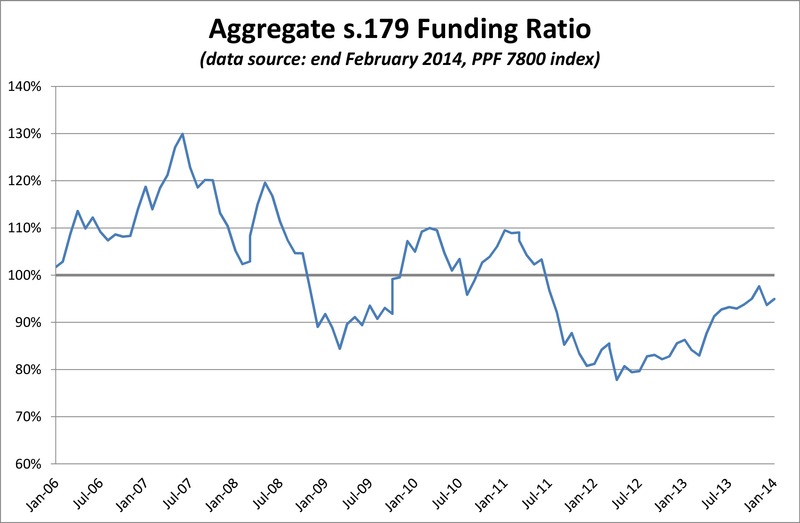 The average funding ratio rose from 93.7% to 94.9% reflecting an reduction in overall deficit from £76.4bn to £61.2bn.